gareth bale – a future best? quite a few young and promising players are appearing from many countries. candidates for the main individual crown with no more than 21 years of age are as numerous as ever. this might become even clearer if you list world famous players at the current age of 22 years: the argentinians gonzalo higuain, angel di maria and sergio aguero, the german mesut özil, the spaniards busquets, javi martinez and juan manuel mata, the frenchman karim benzema. all of them have what it takes to become the main stars in the sport, in a few years time. and all of them, curiously, play in the spanish first league. 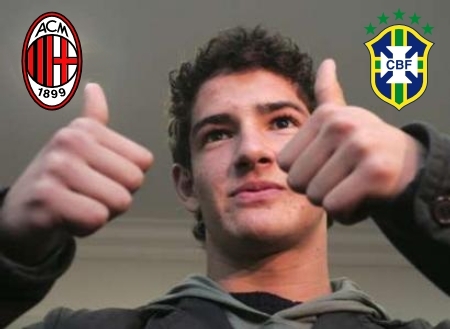 if you think of the 21 year olds and younger, maybe the brazilian alexandre pato (ac milan) comes to mind. he’s been one of football’s greatest promises for years now, and he seems to be living up to expectations. thomas müller, the bayern munich player, was virtually unknown just a year ago, and is now a major star and world cup top striker. and of course, there is the talented, but somewhat troubled italian mario balotelli, who’s trying his luck in england, at manchester city. and i’d mention toni kroos, still looking to fulfill his great potential at bayern munich – he’s only 20. and why not remember neymar, who didn’t accept a chelsea bid in pre-season and continues to play for santos in brazil, and the new brazilian national team. gareth bale might be the next great player on the football planet. but a young player has been stealing the show in this new european season. 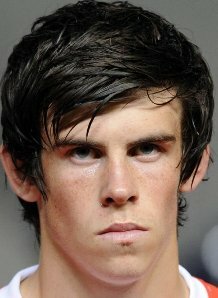 gareth bale was in the news four years ago, when he became the youngest welshman to play an international. yes, he was 16. and yes, he is from wales; what might be a disadvantage for a future bid to become the best player in the world could actually be overcome by his incredible talent. bale has been at tottenham since he was 17, and has extended his contract for another four years, in may. last season, his career seemed to take a little out time from the quick ascend to the top, with him only playing in 23 matches and scoring only 3 goals. but he has definetly learned from that year. in the 2009-10 season, bale is not only the most valiable player of his team – he has also scored important goals and become of the most notable names in the uefa champions league. tottenham is in there instead of liverpool, and gale has shown his talent in almost every single game. fantastic and decisve in bremen, a one-man show at the holder in milano, even with the 3-4 loss, and finally the man of the match at a convincing 3-1 win over inter. 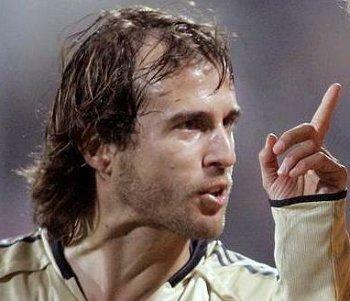 tottenham lead that difficult group and are set to reach the next round – and gale has scored 4 goals in 4 matches. he’s been scoring important goals in the premiership, too – one of them in the incredible 3-2 comeback after 0-2 at arsenal, in the london city derby, just yesterday. two fantastic matches against champions internazionale in the champions league have captured people's attention and fascination. gareth bale, of course, is much more than goals. he’s a smart player, very fast, with a great left foot, finesse in his passing, and the confidence that might just be capeable of dribbling on or the other defender. 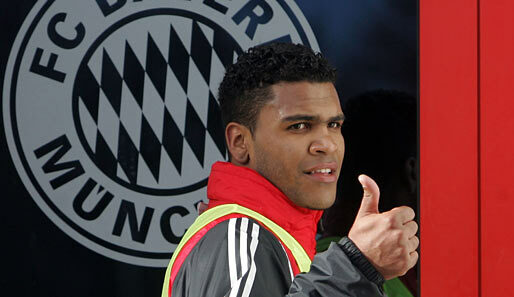 he is as effective assisting to goals as he is scoring them. and with his young age, he has made it onto the wish list of the greatest british and european clubs. the welshman has promised to fulfill his 4-year contract at tottenham, but doesn’t seem to be the very likely. in any case, it’ll be worth it to watch the uefa champions league match against werder bremen, on wednesday. games envolving bremen are always exciting, tottenham might celebrate classification to the round of the last 16 – and you’ll probably see another gala by gareth bale.